Agnolotti is a type of pasta originated from Piedmont in Italy. 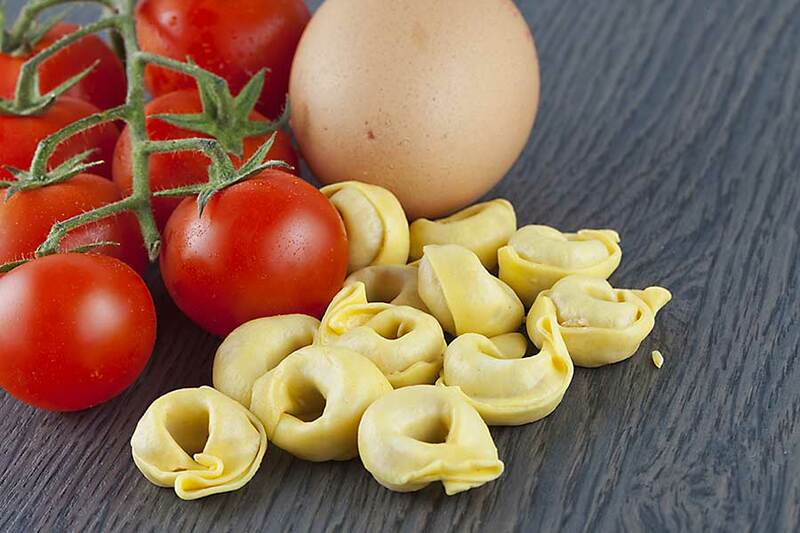 Agnolotti is a type of pasta originating from Piedmont, similar to ravioli. 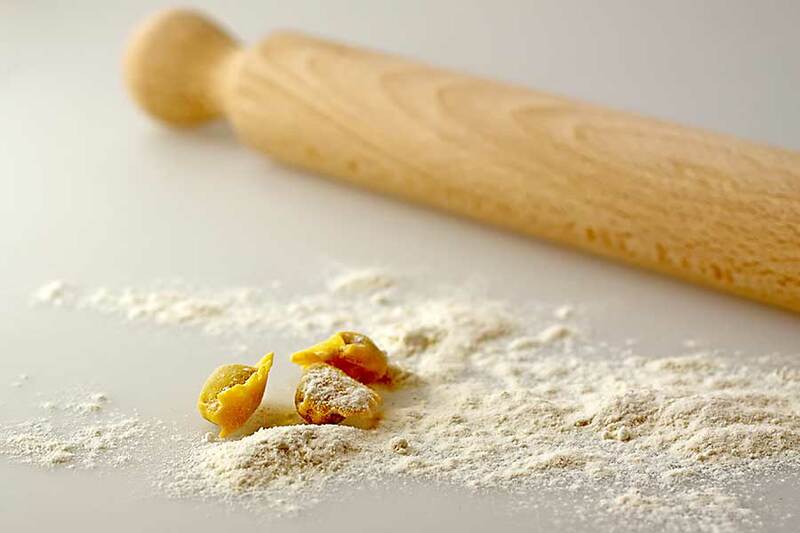 The difference is that agnolotti is prepared from one piece of pasta and ravioli from two pieces cut into squares. Preparation of this pasta is pretty simple. In the middle of a long strip of flattened pasta lay the filling and next fold pasta over the filling. The most popular filling is meat stewed in Barolo or in a sauce or vegetables, although the most classic stuffing is meat leftover from dinner – then it is folded in half along. Cheese, fish or stewed vegetables can be used for filling. 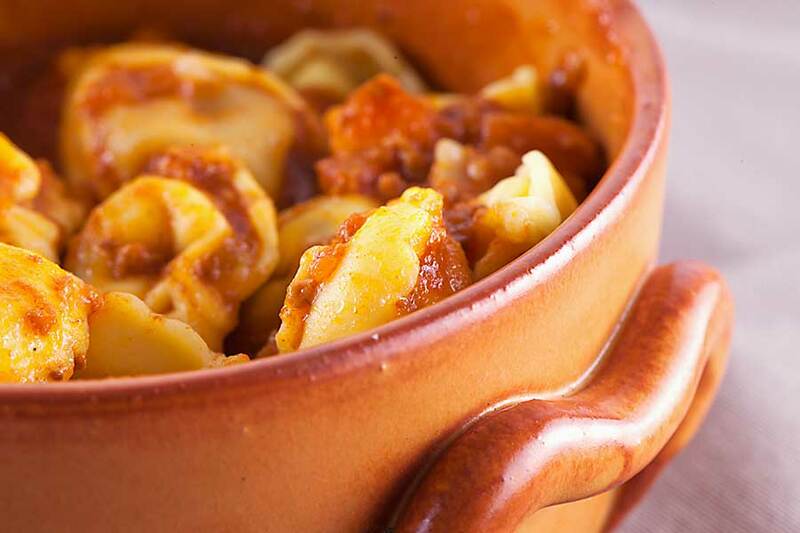 Legend says that agnolotti was invented in Piemonte to celebrate the end of the siege. According to this story, the Marquis asked Angelot, his chef, to prepare a rich dinner. The chef realized that the pantry did not have too much food and decided to use the leftovers of meat from previous days, giving them as stuffing for the pasta egg noodles. Marquis loved the recipe and decided to call it an agnolotti in honour of the chef who has invented the dish.